Peabody baseball team. Eleven men in photo, five sitting in mismatching uniforms in front, six men standing behind them, four in uniforms, two in suits and hats. Two men hold baseball bats, one wears a catching glove. Fence and Telegraph pole in rear of photo. 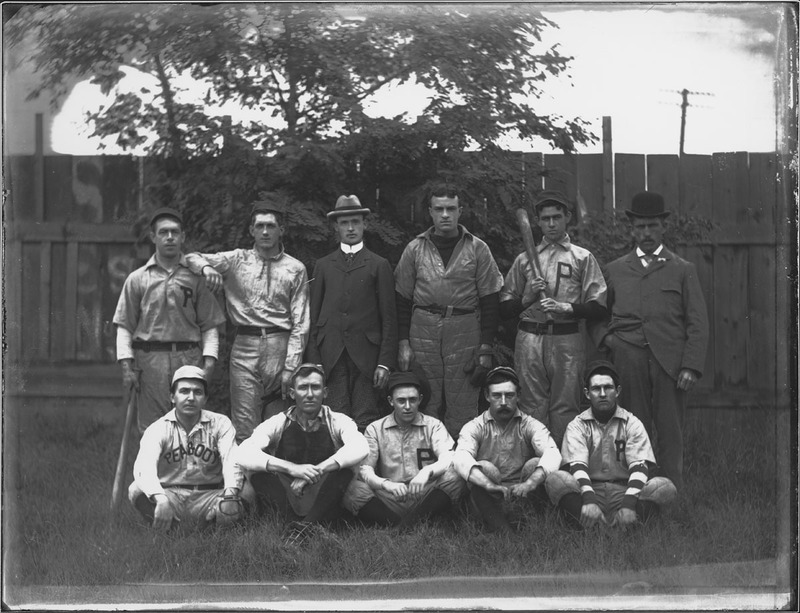 “1899 Baseball Team,” Peabody Institute Library, Peabody, Mass., accessed April 18, 2019, https://digitalheritage.noblenet.org/peabody/items/show/191.